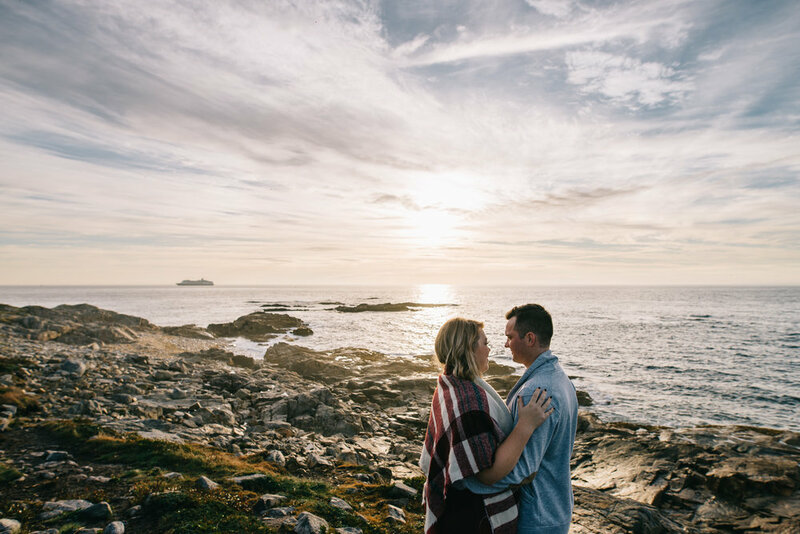 Matt and Alexis are quite the adventurous couple, willing to get up at crazy-o-clock to go check out the sunrise at Duncan's Cove with Blake, their adorable Boston Terrier. This morning had it all, gorgeous clouds, a handful of cruise ships coming into the Halifax port and of course, the glowing light kissing the beautiful landscape. Can't wait for their wedding next August!